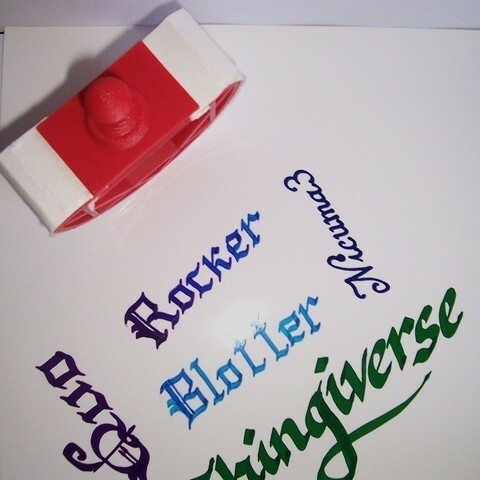 Today I would like to show you a printable Rocker Blotter. I suppose people who love the "calligraphy world" will know what it is, and how useful it may become. 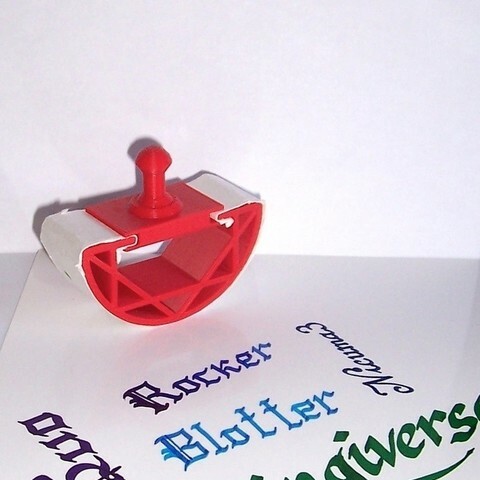 For people who don't know about it, a rocker blotter is an antique tool, used to dry the ink which doesn't dry so fast. With this tool, you avoid to damage your work letting rests of ink all around the paper. an elegant holder -> ATTENTION: Work in progress*. Still doesn't parametric at all. the RockerBlotter with a basic and funcional holder (cause you can print it together). 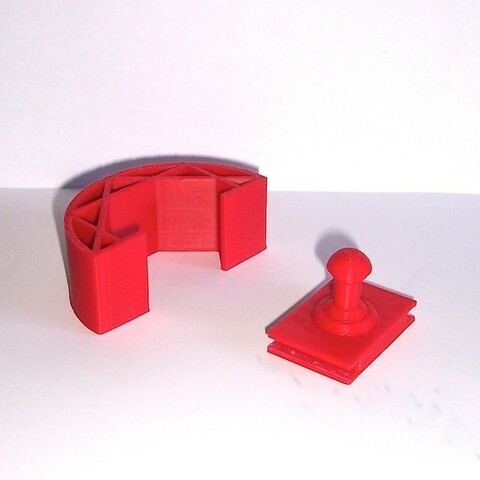 If you print the elegant holder, you must remove carefully the external plastic. I added it just for made this printable. Print it and improve the results of your calligraphy works!